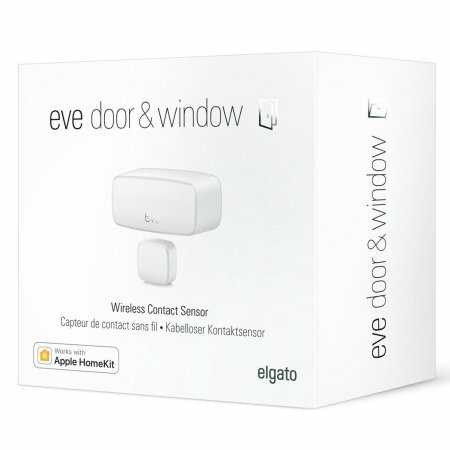 Use Elgato Eve Door & Window to stay up to date with the windows & doors that are open within your home. Keep your home completely secure and insulated with smart notifications on your Apple Homekit device, detailing the status of your doors and windows. 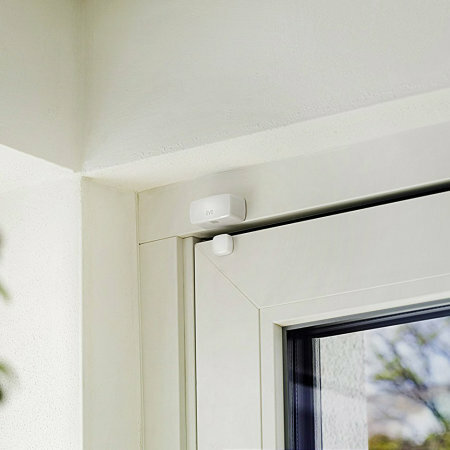 The Eve Door and Window is a smart wireless contact sensor to can detect whether doors and windows are open or closed in your home. By using a compatible Apple device, you can check on the status of your windows and doors using your voice with Siri or with a simple tap on the Eve app. Ensure that your home is secure at all times with live notifications to your Apple devices when anything equipped with the Eve Door & Window is accessed. Access the Eve app to set up scenes that allow you to make your Eve Door & Window work in-sync with other Eve devices. Couple this useful device up with the Eve Thermo Thermostatic Radiator Valve in order to pause the heating in certain rooms when windows or doors are open to save energy. 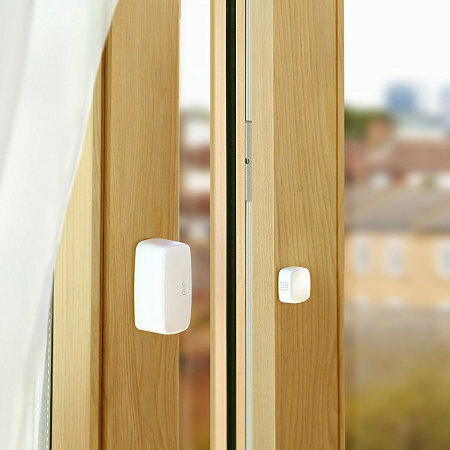 Use the Eve Energy along with Eve Door & Window to turn on lights and other appliances in a room when you open the door. Please Note - The Eve Thermo and Eve Energy smart home devices are not included with this product and must be purchased separately. 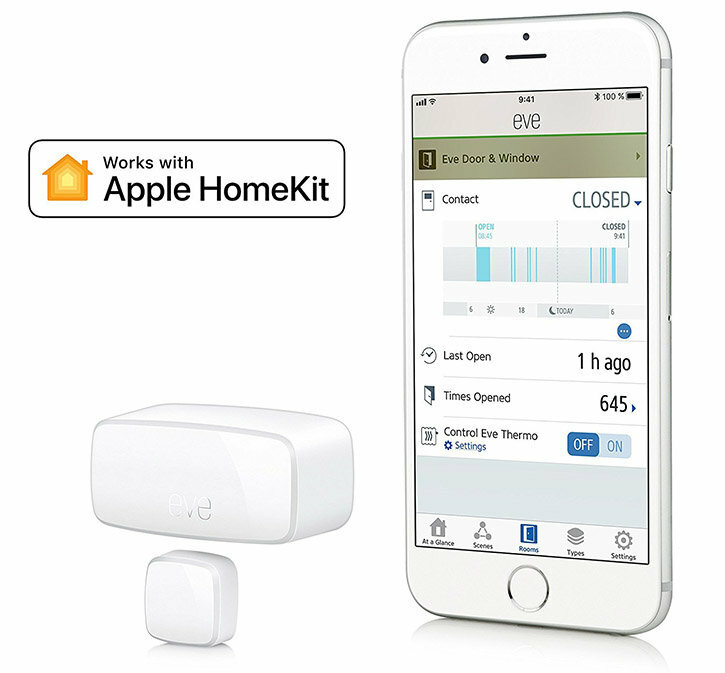 The Eve Door and Window has "Works with Apple HomeKit" certification, so you can use all of your Apple devices to remotely check the status of your doors and windows both at home or on the move. 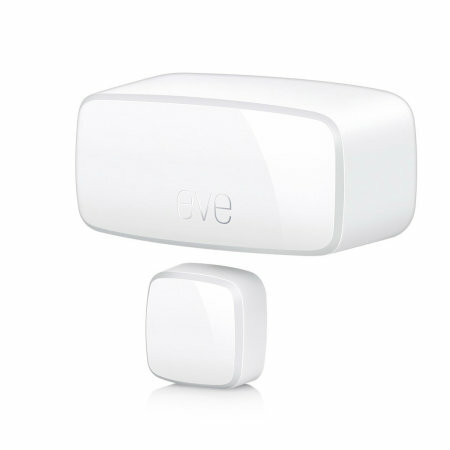 Add the Eve Door & Window to your current collection of HomeKit enabled smart home devices to help you to take complete control of your home from one device. Looking for more detail or need to change some advanced settings? Use the free Eve app to control all of your Elgato products and be in complete control from your compatible smartphone. Integrated Bluetooth low energy technology will keep you fully connected with all of your smart devices whilst saving energy thanks to it's efficient operation. Also, thanks to HomeKit compatibility, your data is encrypted end-to-end and stored on your Apple device for complete privacy. 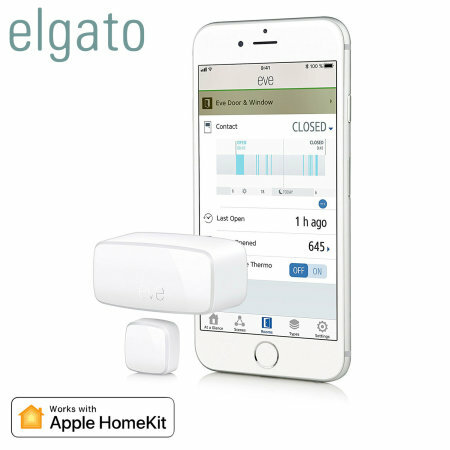 Please Note: The Elgato Eve Door & Window requires an iPhone, iPod touch or iPad with iOS 10.3 or later. In order to control this HomeKit enabled device automatically or away from home you must have Apple TV with tvOS 10 or later or an iPad with iOS 10 or later set up as a home hub.